Priced to sell! 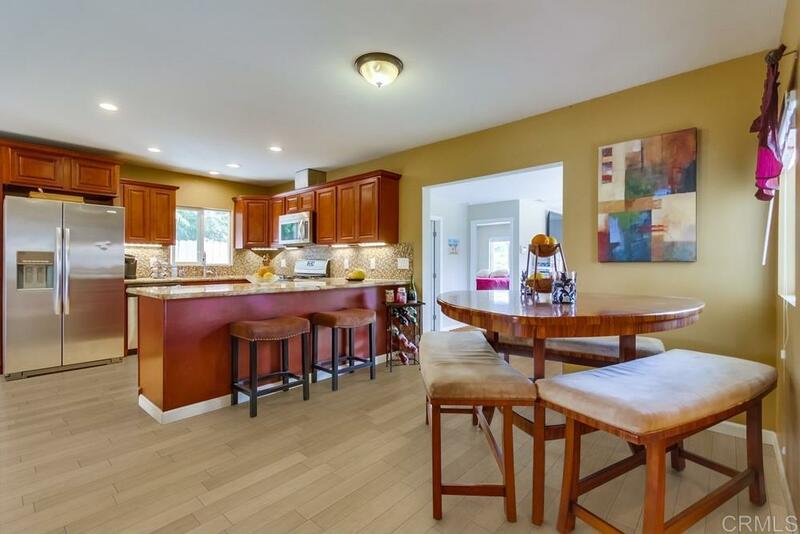 This home features an open floor plan with a beautifully updated kitchen, newer cabinets, high-end granite counter top with gorgeous backsplash, & stainless steel appliances. All new wood flooring throughout main area. Bathrooms are updated with granite sinks and travertine tiled showers. Large private back yard perfect for entertaining guests. Just 4 miles to the beach. home has five Klimaire ductless A/C and heater units installed. SOLAR PANELS, buyer will get 40% off monthly bill., Newer remodeled kitchen with solid cherry cabinets, including a lazy susan corner, crown molding. LED under cabinet lighting. Newer garbage disposal. Kitchen electrical was completely rewired with upgrade. Roof is approximately 7 years old. Two large sheds for plenty of storage. Home is priced way under market value. New owner will have instant equity. Regarding the SOLAR PANELS there is NO LOAN to pay, the solar company sells power to the owner at a 40% discount. All the windows are newer energy efficient vinyl windows. The Klimaire ductless A/C and heater units provide instant cooling and heating and are much more energy efficient than regular central cooling and heating. Brand new electrical panel in place.